The Shotgun VGOD Coils are specially designed for the VGOD Pro Subtank Clearomiser. The Shotgun VGOD Coils have an innovative design and are composed of the resisitive wires in SS316 and 100% Organic Japanese Cotton for excellent satisfaction in flavour. The Shotgun Coils uses SS316, 2 cables in parallel to obtain quad coil power. 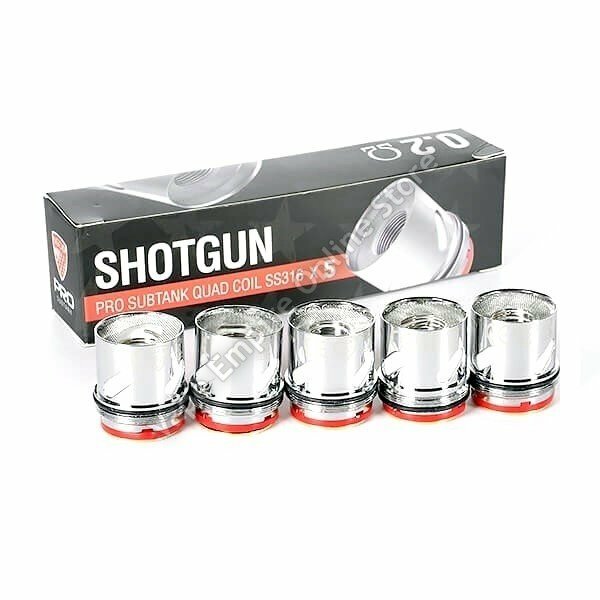 The Shotgun VGOD Coils are sold in a box of 5. The Shotgun Coils are made by VGOD.